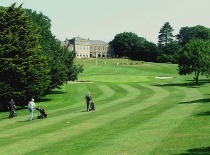 We have a great selection of quality golf packages to suit couples or larger groups looking to book a golf break. 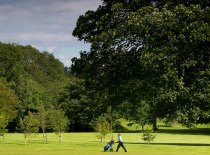 Located on the outskirts of Cardiff in the Vale of Glamorgan we work with quality hotels and golf courses to offer you a ‘Perfect Welsh Golf Break in One’. Stunning scenery, exceptional golf courses and an abundance of accommodation, the Vale of Glamorgan has everything you need for an exciting and memorable golf break in the heart of South Wales. Select from the options below to view our sample South Wales golf break options and use the form provided under each heading to make an enquiry about your preferred package; or alternatively use the ‘contact us’ link to detail your own bespoke South Wales golf break itinerary. 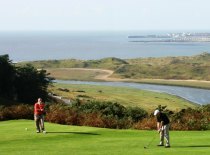 For the perfect ‘Welsh Golf Break in One’ no matter what the season we offer exceptional courses and comfortable hotels. For sample one night golf packages with either one or two rounds of golf including the great value ‘Sunday Driver’ package. For sample two night golf packages with either two or three rounds of golf Vale Golf Breaks offers quality and affordability. 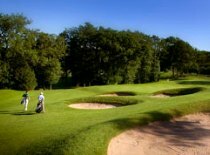 For sample three night golf packages with either three or four rounds of golf, ideal for a golf tour around the Vale of Glamorgan.